Home Directs How Can I Minimize the Cost of My Design? Often the most difficult part of optimizing a design for cost considerations is identifying which options are available and what the key factors driving pricing in the market may be. It may feel that other manufacturers may know something you don't, and that may not be too far from the truth. But, the solution is often as simple as researching common practices within the industry, and reaching out to fabricators directly for recommendations. The key is following a structured process and approaching a large enough number of suppliers to avoid bias, but not too large so the process is still manageable. The questions that kickoff the research phase of the process and begin to define the focus of supplier conversations often center around the fabrication processes which are available when considering the device's form factor and function, the available materials that meet functional requirements, and the intrinsic component geometries which carry enough flexibility to ease the manufacturing process. 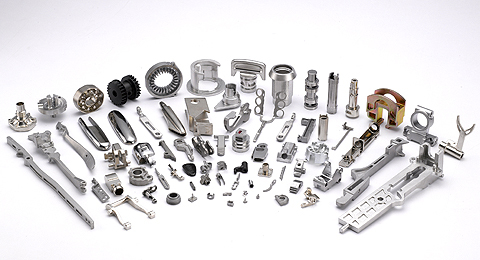 The traditional fabrication processes such as machining, sheet metal forming, forging, casting, and injection molding are always at the forefront of the designer's mind. However, by staying open to alternate and more contemporary processes the benefit of tremendous cost savings can be achieved. If the application allows, a composite component may be as easily compression molded or 3D printed as injection molded, and metal components can be metal injection molded to produce high tolerance small and complex parts with high production runs to lower costs. The second key factor focuses on direct materials which are very cost competitive, but can still meet functional requirements such as rigidity, stress, strain, and environmental considerations. Compounders are a great resource for formulation options of composite materials and can give the best insights about industry standard materials purchased at high volumes which can offer great economies of scale, and specialty materials to avoid, unless application concerns force their use. A simple example is choosing a single component pigment to simplify blending and ensure the consistency of color between different lots. A more complex example is considering reclamation facilities for raw materials supply to lower cost. This option requires supplier guidance and experience to avoid complications associated with purity of materials. The third and most critical consideration is easy of manufacture. Looking at the design and identifying which features can have more relaxed tolerances and identifying features that are critical can be a very time consuming process, especially where as assembly is concerned, but can bring the largest dividends. A compromise where the Engineering team makes the first pass at identification followed by conversations with the supplier to review their standard shop practices and tooling can reduce the optimization time-frame and maximize savings. Each shop manages their fabrication and assembly time very closely and can offer suggestions based on their experience handling and fixturing parts to ensure accuracy on stringent tolerances and reduce the cost on non-critical features. Often the solution is as simple as referencing a critical face of the part, increased clearances, or using larger screws to speed assembly time. While a closed off approach or close collaboration with existing partners may be the preferred choice for most Engineering teams, mainly due to time concerns, we have seen the greatest cost savings when alternate manufacturers are included during the design process and conversations are conducted with a broader supply base to reveal a more clear picture of the market.